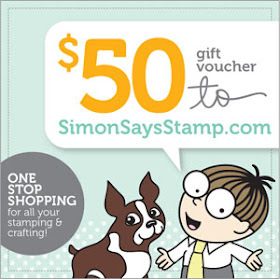 Simon Says Stamp and Show: Simon Says Stamp and Show ... Anything Goes! A tag and coordinated gift bag were the order of the day for Tracy this week using An Eye For Art Stamp set, Border Patrol stamp coordinated with an inky background from Distress Stains. A small gift bag was created from Tissue Wrap Terminology. Ellen created a mini watercolor journal using Wendy Vecchi's Small Pages art parts, TenSeconds Studio metal, texture fade embossing folder, Ranger's new metal patinas. Bound with idea-ology D-rings, and embellished with alpha parts and one of the new word bands from Tim Holtz. Lynne made a going away book for her daughter for this weeks challenge. She used papers from the Postal Collection Paper Pack to adorn the covers. 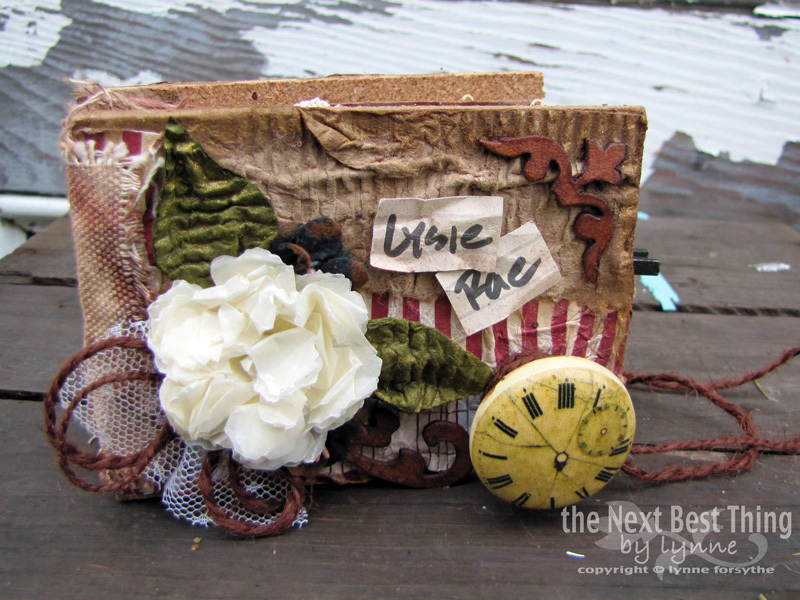 She accented her book cover with 7 Gypsies goodies, Big Ben Book Knob and Decoratif Chipboard and added a signature flower created with the Mini Tattered Floral Die. Terry made a ATC laden with lots of vintagy stuff...! 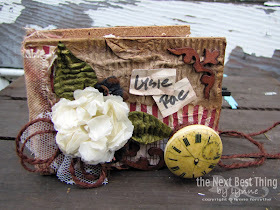 The background was created using the Graphic 45 paper-pack and the Chitchat Stickers from The Tim Holtz. Crackle Accents were used on the little Graphic 45 fairy and a little tag with a vintage style lady was placed underneath. Terry finished off her ATC with roses and pearl-strings. Sarah was in the mood for a little up-cycling so she created a stitched postcard and envelope set from Art Journal and book pages. 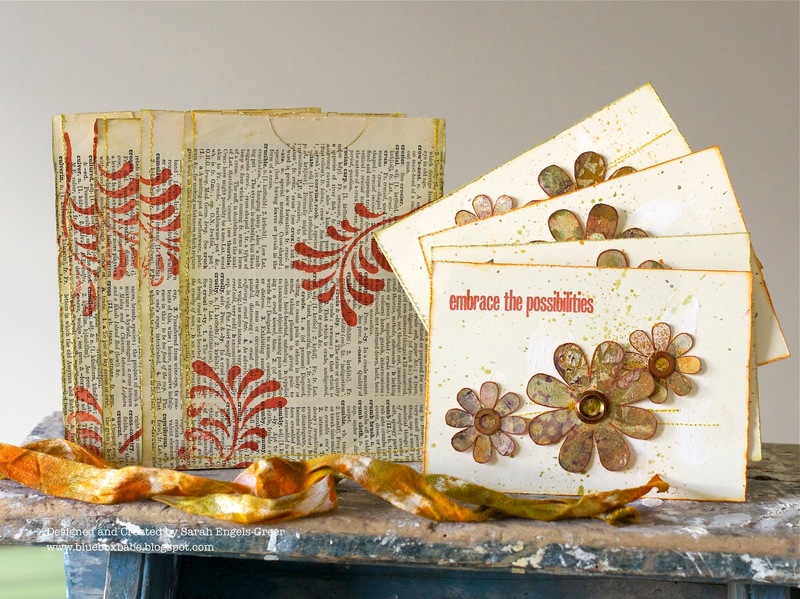 She used Lettuce and Sunset Orange Color Wash, Gesso, her favourite Wendy Vecchi flower stamps and a range of her great sentiments. Candy had fun creating this vintage corset ATC card. Pink Paislee papers create the background; distressed with Vintage Photo and Black Soot Distress Inks. The lovely trio of ladies was cut out using Honey Bee's Detail Non Stick Scissors. Their glitzy necklaces are courtesy of Waterfall and Star Dust Stickles. Finally, she added vintage tulle and Melissa Frances' Cream Pearls for that dimensional and feminine touch. 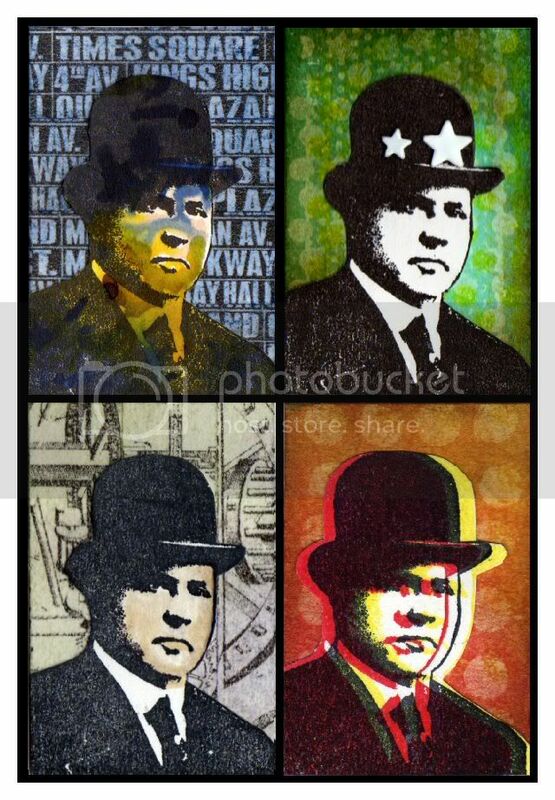 Dan's Andy Warhol inspired piece gave him the chance to give a first try to several recent purchases. In addition to the new Spring Seasonal Distress Colours, he used Tim Holtz's Mixed Media stamp set, Wendy Vecchi's Well Dressed stamp and the Commute tissue tape dual pack. Old favourites he also used included Promarkers, Distress Stains and a Versamark Watermark ink pad. The Anything Goes theme was the perfect opportunity for me to finish off this little project. I moulded the metal using TSS basic tools and the Time mould. Embellishing with Tim Holtz's Gadget Gears die and SteamPunk Stamp set with a few bits of Idea-Ology. The prize will go to a random entry chosen by Random Generator. The challenge will close at Midnight Eastern time on Sunday, 20th May 2012 and the winner will be announced during the following week. To qualify all you need to do is create a new piece of work ... post it on your blog ... with a link to this site and then pop a link below so everyone can come see what you made! What a variety of gorgeous projects, I love them all! Fabulout design team inspiration. Love how everyone interprets the challenges with different styles and inspiration! Gorgeous ... and inspiring! ... creations from the Designers! FABulousness! Gorgeous creations by the Design team. I love the Ten Second studio metals and embossing plates! Gorgeous creations from the DT!! Fantastic examples DT all so inspiring. I couldn't resist such an easy theme this week! Thanks as always for the DT's incredible samples! Wonderful DT pieces - hard to pick a favourite! Lots of good things to see once again this week. Wonderful challenge - so much fun! Beautiful and inspiring creations by the DT! Thank you for the challenge! Fantastic challenge. Thank you so much. Your DT's are amazing. Fabulous creations from the Design Team!! I was thrilled to see another "anything goes" challenge and spent the last few days making mine. Lovely samples from the team! As always, thanks for lots of inspiration!